I am a kind of old fashioned person in term of reading book…. I know there are lots of electronic stuff to read 3-book. For me, however, I still prefer reading paper book. To avoid folding page to remember where I stop, a bookmark is necessary. Hence, I collect to 9 Creative and Innovative Bookmark Design in this post. 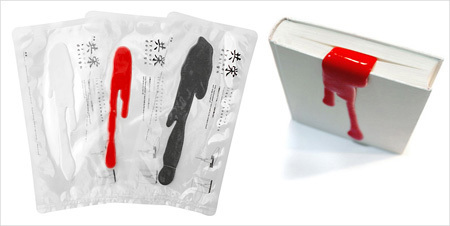 Hope those cool bookmark can add some spice to your reading since they are not only creative but useful as well. READ functions as a bookmark and portable reading light. 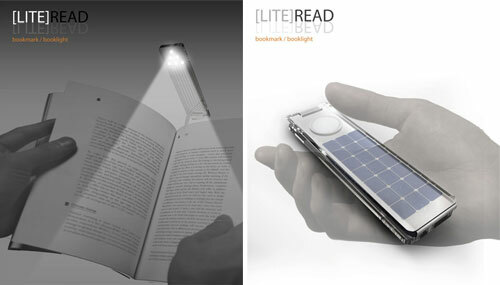 This is handy device that can be used for reading in a dark environment without disturbing others. It also functions as a reading aid to the elderly or those with poor eyesight. 6 LEDs provide a generous 8 hours of reading time. Simply leave the device in the sun during the day to recharge using its embedded Photovoltaic cells, removing the need to change batteries. 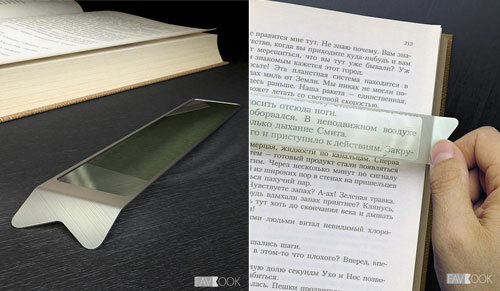 When finished reading, the device functions as a slim bookmark and the light is turned off by a contact switch when the book is closed, and on once it is opened again. 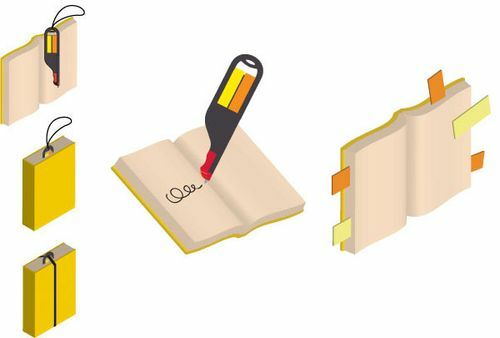 When not used as a bookmark, [LITE]READ could be folded in half and carried around easily. This scary looking bookmark is hand-made by the designer so that every design is completely unique. Similar “squeeze” idea as above bloody bookmark. 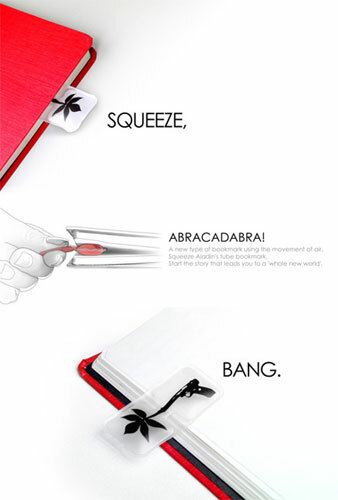 The ABRACADABRA bookmark aims to make finding where you left off and opening to that page easier. I didn’t know it was an issue but now I hate my ordinary paper bookmark. The ABRACADABRA contains an air-filled chamber, half of which is flattened by the weight of a book. 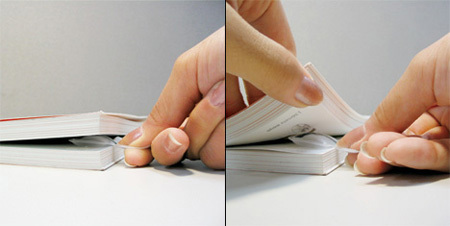 Squeezing the exposed side inflates the concealed side lift the page just enough for your finger to slip in. 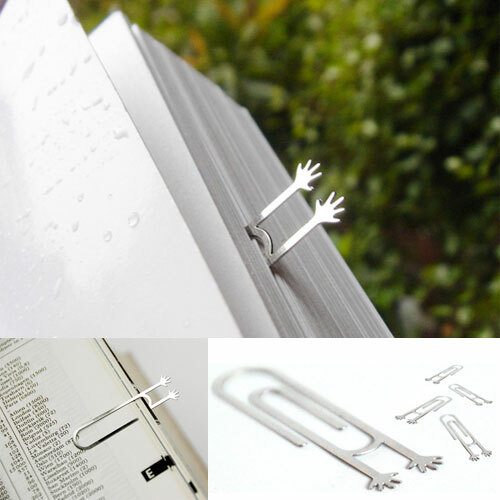 Paperclips with arms used as bookmarks. They appear to look like people that have been stuck between your pages. Pretty funky design. 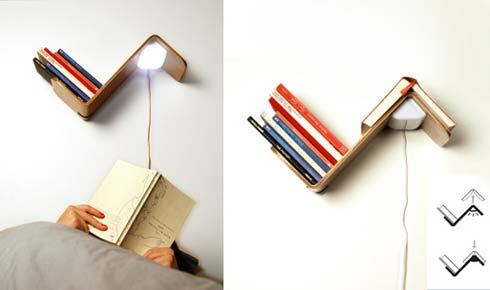 The seriously cool Lili Lite from Studio Smeets Design is a reading light, bookmark and bookshelf all in one. To turn off the light, you must put your book over the ‘bookmark’ as shown in the picture to engage a sensor. When you lift the book off, the light will come back on again.The only tricky bit would be to find a triangular-shaped light. 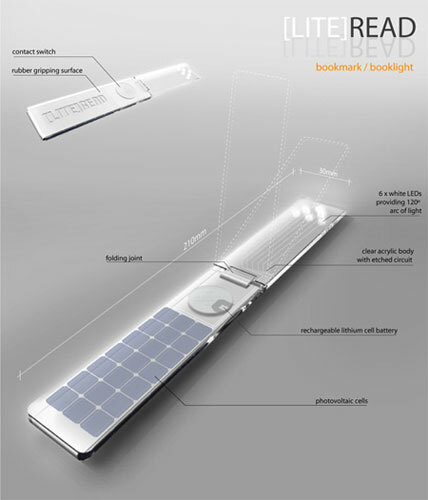 The idea is to combine the convenience of Fresnel lenses with luxury silver bookmark. it’s for the favorite books only! The lens is made from high quality durable plastic, frame of silver. you can embed led back-light for more comfortable reading. place for fingers located at an angle – so convenient to keep the lens. This is a pen/flag dispenser/bookmark/book strap all in one easy to carry object. Never lose your place again, and never lose your bookmark! BookMarker is super thin, so it fits easily in your book to mark your page WITHOUT breaking your book binding. The design includes a nifty strap that wraps around your book to keep the BookMarker in place and keep your book closed… how cool is that?! Similar wrapping design as above one, but it has one more function, position indicator. 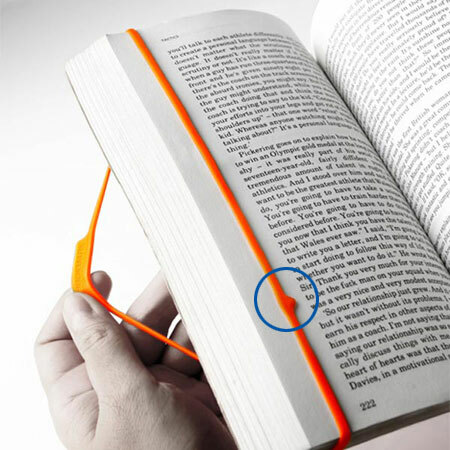 The Bookmark II is a colorful rubber band that you wrap around the page of your book, it has an arrow which shows you the last line you were reading, just move the rubber band and the next time you pick up your book you will be able to continue from the last sentence you were at. The Feather Bookmark USB Drive comes with 2GB of storage, and it is designed to be used as a bookmark to keep you place in your favorite book, when not used as a bookmark it can be used just like any other USB drive to store your data on. Just afraid to broken it…..it looks like fragile to me.